The second lens in Tokina’s new ‘Opera’ range is the 16-28mm F2.8 FF for full-frame Nikon and Canon DSLRs. 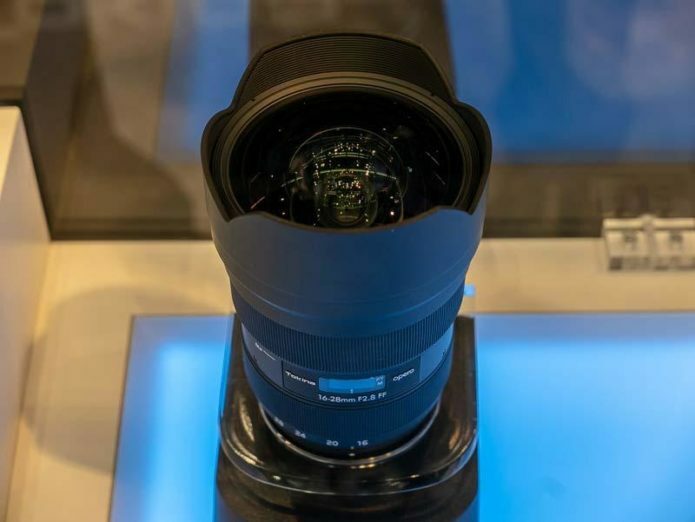 We saw a mockup of this lens in late 2019, but we just got our hands on a working sample at the CP+ show in Yokohama, Japan. Click through for a closer look. Described by Tokina as ‘next generation, premium full-frame lenses’, the Opera range is designed to deliver optimal results on modern high-resolution Canon and Nikon DSLRs. Optical construction comprises 15 elements in 13 groups, three of which are of aspherical, and three are made of Low Dispersion glass.